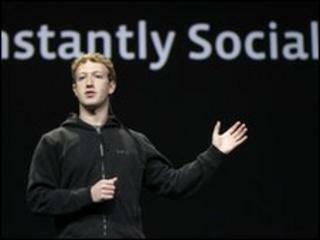 Image caption Mark Zuckerberg wants to move to a web with a "social default". Facebook looks likely to cave into pressure from users and simplify its privacy settings in the near future. The social networking giant told BBC News that it was listening to the message from users that it has "made things too complex". "We're working on responding to these concerns," a spokeswoman said. "Watch this space," she added. At the end of last year Facebook changed its default privacy settings, allowing profile information to be shared with the wider web, unless users specifically opted out. Last month it moved a step further, opening up Facebook data to third-party websites, described by founder Mark Zuckerberg as a move towards "a web where the default is social". While Facebook sold the idea as a way to offer a more personalised surfing experience, critics were concerned that users were losing control over their information. It prompted a letter from the European Commission saying changes to its privacy settings were "unacceptable". The move caused outrage among some users, who have organised a "Quit Facebook" day, scheduled for May 31. Last week Facebook held an internal meeting to deal with the crisis, which has already seen some high-profile users deactivate their Facebook accounts. Facebook said it "didn't comment on deactivations". "Some 10 million users have joined Facebook since the recent privacy changes," said a spokeswoman. "There is a notion that people don't know what they are doing but people are much more savvy about their online privacy than is often portrayed," she added. Since the changes were introduced in December, more than 50% of users have changed their privacy settings, Facebook said in a statement to BBC News. "The fact that approximately half have accepted, and half are customising shows that our recommendations are reasonable," the statement read. But it acknowledged that more could be done. "We have heard from our users that our efforts to provide granular control have made things too complex. Of course we're working on responding to these concerns," it said. Alternatives to Facebook are springing up, including open source social network Diaspora. Designed by four students from New York University, the project has quickly gained thousands of backers and received $125,000 in donations to help get it off the ground. In separate news, Facebook has launched a site designed to increase its footprint in the developing world. 0.facebook.com is a mobile site that includes all the social network's key features but is offered with no data charges. It will be available through 50 mobile operators in 45 countries. "When using the mobile internet, people around the world face two main challenges - sometimes the experience is too slow to be fun and the cost of data plans and understanding them can be daunting," Facebook's Sid Murlidhar wrote on the firm's official blog. "We have designed 0.facebook.com to help solve these two barriers and we hope that even more people will discover the mobile internet with Facebook as a result," he added. Facebook currently has more than 400 million users around the world.